If you're anything like me (and I realize that you're probably not), you thought that the original Slice Atlanta in the Castleberry District was the greatest restaurant EVER!!! Not because it was some super plushed out, five star restaurant. 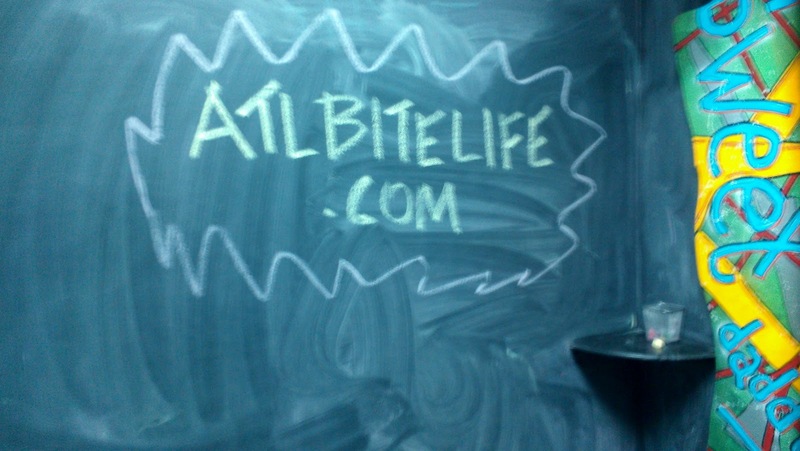 But because it was the perfect hybrid of poor man's pub meets Atlanta's Black Hollywood. 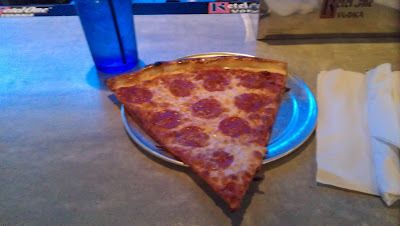 $2 slices of pizza with $12 drinks - absolutely BRILLIANT!!! This is the kind of restaurant I 'd always wanted to open myself. 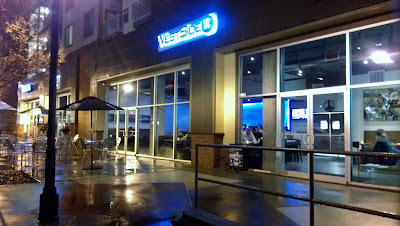 But, sadly, in the Fall of 2011, Slice closed its doors. Fear not though. Just like 80's streetwear, 90's cartoons, and Tupac (according to Rick Ross) in 2011 , Slice is back; reborn as Westside Pie. Tucked on the bottom level of one of the newer living developments on Huff Rd, Westside Pie is serving up those same large, New York style slices that made the original Slice popular. The grilled chicken Caesar salad got an upgrade so now it's all the way on point. And, the drinks have always been pretty stiff. Like I said, it's everything that we've grown to love, just a new address. But, it's the new address that's keeping me from loving it all the way. It's not that it's a bad location. 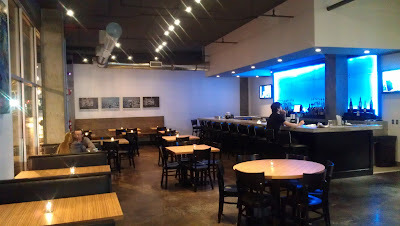 In fact, this new West Midtown locale is more spacious and way sexier than Peters Street ever was. However, it's missing that urban "charm" that, to me, gave Slice its' personality. I miss the homeless guys who used to try to help you park your car. I miss the cracked sidewalk and weathered, brick loft spaces that surrounded the building. I miss the relatively small, narrow interior on those hot, uncomfortable nights where the place was clearly past fire capacity but the party was rocking. *sigh* Memories. But, don't let my strange infatuation with the hood keep you away. Westside Pie is definitely more comfortable and inviting now. During the day, the lighter colored decor creates a more lively ambiance that's perfect having lunch or a more casual business meeting. 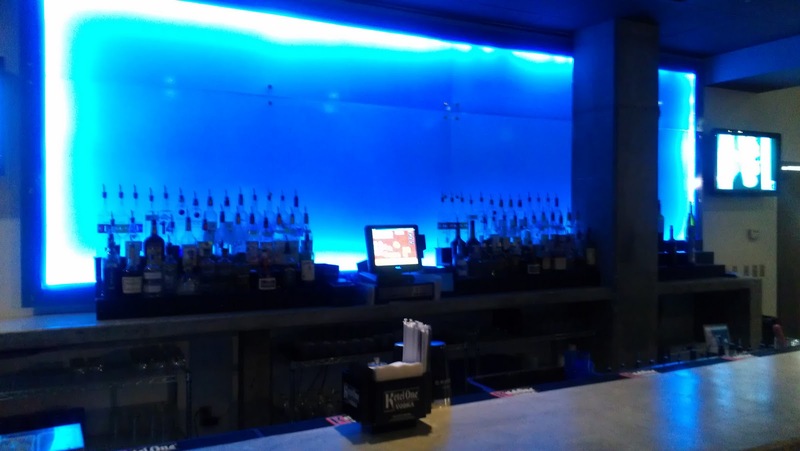 In the evening, the blue lighting really illuminates the place giving it a sexier, night club feel. Throw in a strong cocktail or two and a couple of pepperoni slices and you're on your way to a night you'll never forget (or can't remember). 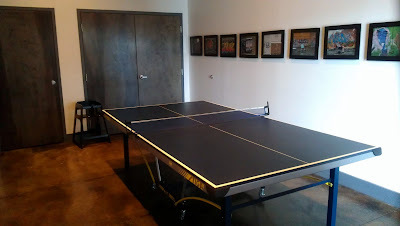 Oh, and let's not forget about the ping pong table in the back or the chalkboard walls in the bathrooms. I mean, those two things alone are worth the trip. Trust me. I've actually stopped by specifically to use both a couple of times. Smh. #confession. So, the next time you're riding down Howell Mill and your stomach starts growling for something quick and delicious, the answer is NEVER burgers, tacos, or chicken from one of the nearby fast food restaurants. Do what we do. 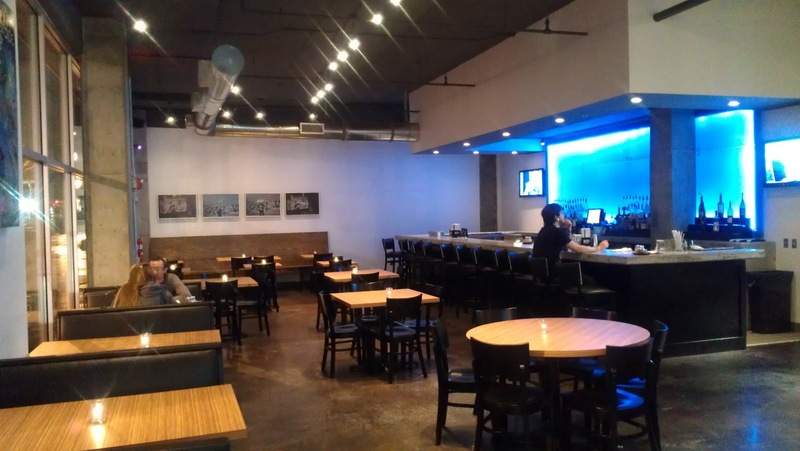 Turn on to Huff Rd, park your car (on the street if you can), scoot your stool close to the bar and tell your server that you need a slice of something and a sip of something. 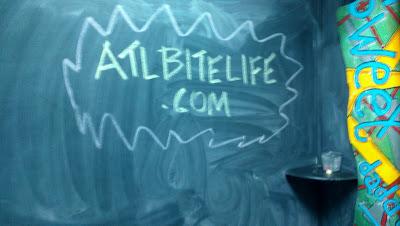 Also make sure that you mention that you heard about them on ATLBiteLife.com.